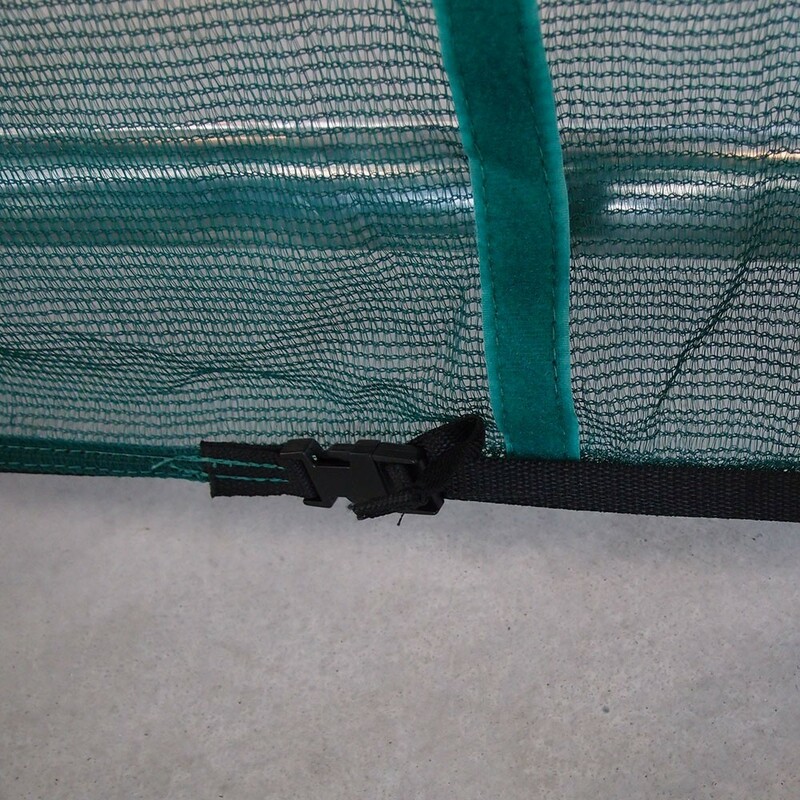 This protective skirt blocks the passage under the jumping surface of your Apollo Sport 300 trampoline. It prevents children and/or pets from sneaking underneath your trampoline:it has a primoridal role for the security and safety of your trampoline. - Due to its elasticity, when someone jumps on your trampoline, the jumping mat can be very close to the ground: the skirt will prevent access to this risk zone. 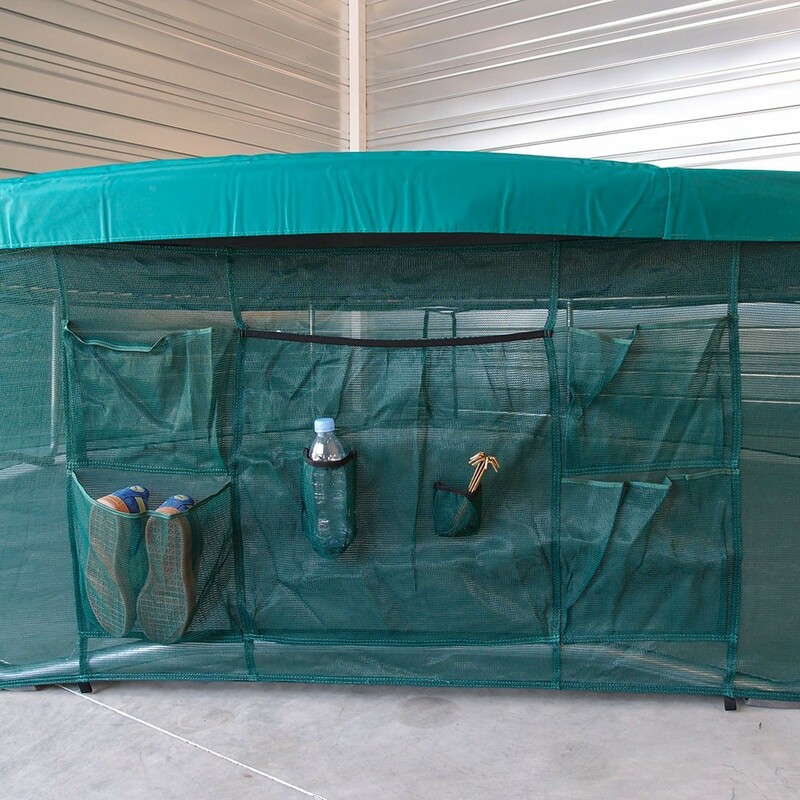 - Thanks to the narrow mesh of the fabric the protective skirt is not completely opaque: the zone under the trampoline is still visible from outside. You can easily check that noone is hiding under the trampoline and that it isn't risky to jump. - Not only does the protective skirt secure your Apollo Sport 300 trampoline, it is also equipped with pockets. This functional accessory will allow you to keep your belongings together while you jump, without them falling out of your pockets. The skirt has 5 large pratical pockets to put your things or even a little snack to revitalise after jumping. - Its green colour blends perfectly with your garden. 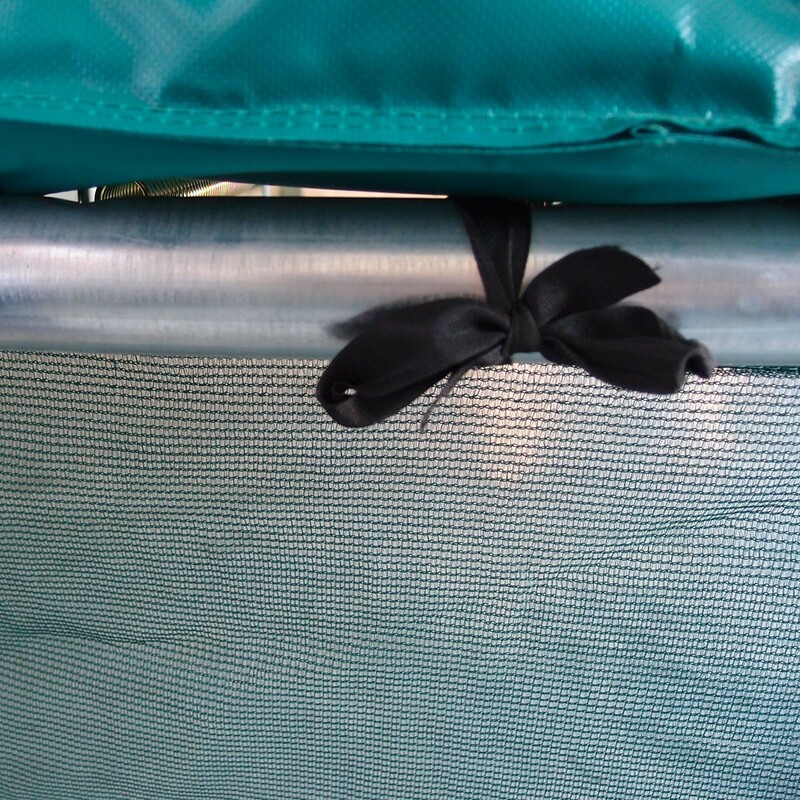 - The protective skirt is fixed to the frame of your trampoline. It is easily put on a trampoline that is already assembled, before adding the safety ensclosure. This protective skirt is compatible with Apollo Sport 300 trampolines exclusively.